Control a stealthy thief tangled up in a tormented city in this shadowy PS4 action adventure. In this treacherous place, where the Baron’s Watch spreads a rising tide of fear and oppression, the Master Thief Garrett can only trust one thing – his skills. And even the most cautious citizens and their best-guarded possessions are not safe from his reach. We got our light-fingered hands on Thief. Find out what it's like to play on PlayStation. 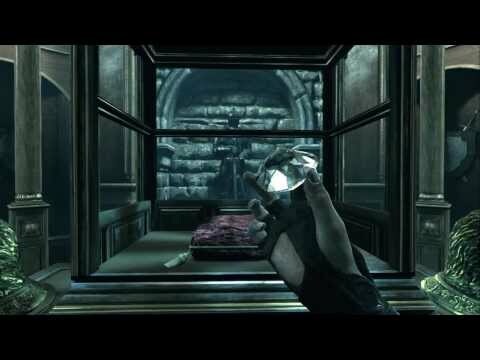 Step into the stealthy shoes of Garrett, a dark and lonely thief with an unrivalled set of skills. Explore the sick and troubled City, from its shady back alleys to the heights of its rooftops, to sneak into rich people’s houses and infiltrate the best-guarded mansions. Exploit Garrett’s formidable arsenal to take down sentries with your blackjack or use your focus abilities to manipulate the environment and outsmart your enemies. Steal a bargain by purchasing Thief from one of our trusted retailers or buy online from PlayStation Store. Discover the inner workings of this grimy world. Join Garrett on his deadly journey.